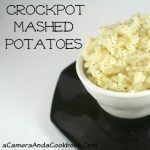 For the longest time, I had boycotted mashed potatoes. Even though they are one of my favorite foods, I just couldn’t seem to get them right. 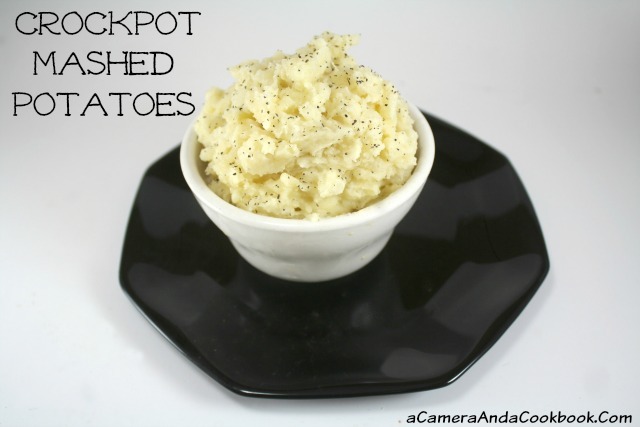 Then, not long ago I wondered if I could expedite a meal by cooking the potatoes in the crockpot to help save time. That’s one less component of the meal to deal with in the evening. I decided to give them a try again and I’m so glad I did. The pic above is an example of when I made the potatoes a little chunky. I usually love my mashed potatoes creamy, but these were going on top of a Shepherd’s Pie and I wanted them to have a little more texture. 1. Spray the inside of your crockpot with non-stick spray. 2. Add in the potatoes and pour in water or chicken broth so that the potatoes are covered. 3. Cook for 4-5 hours on low. Potatoes should be easily mashable. 4. Drain water and add in other ingredients. 5. Using a hand mixer, mix the ingredients until you get the consistency you want. Be careful not to over mix! Spray the inside of your crockpot with non-stick spray. Add in the potatoes and pour in water or chicken broth so that the potatoes are covered. Cook for 6-8 hours on low. Potatoes should be easily mashable. Drain water and add in other ingredients. Using a hand mixer, mix the ingredients until you get the consistency you want. Be careful not to over mix!